Carol Zucker has twenty-five years' experience representing Nevada companies in labor and employment law matters, counseling clients that have included public agencies as well as companies in virtually every Nevada industry, and representing them before trial and appellate courts as well as most federal and state regulatory agencies. In 2001, before the United States Supreme Court, she was lead counsel securing a victory for the nation's sixth largest public school district in the sexual harassment-retaliation case of Clark County School District vs. Breeden, 121 S. Ct. 1508 (2001). As part of her philosophy that businesses are better served by avoiding litigation, Carol has long focused upon advising companies on the implementation of sound human resources policies and practices. She develops and presents in-house training programs in such diverse areas as sexual harassment prevention, employment law, and union avoidance. A frequent seminar speaker, Carol has lectured under the auspices of the State Bar of Nevada, PESI, Council on Education in Management, the Nevada District Judges Association, the National Judicial College, and the Casino Management Association. Carol has been recognized as a leading lawyer in labor and employment law by Chambers USA since 2003, and has been listed in Best Lawyers® since 1994. 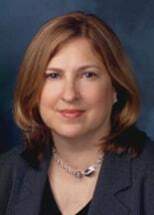 Over several years, Chambers has characterized Carol as a "hard working and well-respected attorney," "a bright litigator who is particularly knowledgeable about the gaming and hospitality industries," and as an "accomplished employment litigator" whose "attention to detail" and "passion for the work" sets her apart. Carol has been recognized as a Super Lawyer since 2007 by the Mountain States Super Lawyer magazine and more recently by Super Lawyers-Corporate Counsel Edition magazine and has consistently ranked each year in the magazine's list of "The Top 40 Women." Carol has served on a number of federal court attorney advisory committees, and as a member of the Nevada Board of Bar Examiners, a Master of the Howard D. McKibben Nevada Inn of Court, and the Chair of the Nevada State Bar's Labor and Employment Law Section. Carol is also a member of the Labor and Employment Law and Litigation Sections of the American Bar Association, a Fellow of the American Bar Foundation, and a member of the International Association of Defense Counsel. Carol served nine years as a Settlement Judge of the Nevada Supreme Court, and nine years as a member of the Southern Nevada Disciplinary Board of the State Bar of Nevada. A dedicated traveler and amateur photographer, Carol has journeyed with her husband Jeff, also an attorney, to diverse locales ranging from photographing icebergs in Greenland and Newfoundland, hiking the hills of Israel, Tuscany and British Columbia, to skiing at Lake Tahoe and Las Vegas' Lee Canyon. April 2, 2019 - DOL Announces Proposed Rule On "Regular Rate"